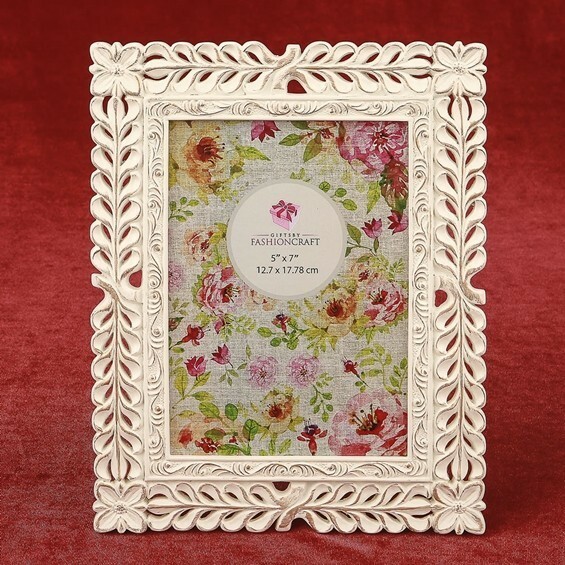 This exquisite frame is made from poly-resin and features a detailed lattice work design. Each frame is hand painted in an ivory color and finished with a rose gold rub. The frame holds a standard 5 x 7 photo and has a velvet easel backing that allows it to stand either vertically or horizontally.